As America celebrates this year’s Thanksgiving festival with a feast and football it may come as a surprise to learn that elsewhere in the world the 4th Thursday of November is just perceived as just another day closer to the weekend. Religion, tradition and the time of year are all major factors allaying to when countries and faiths decide to hold work-free holidays and from the weird and wonderful to the peaceful and reflective, finding out more about other cultures whilst travelling is often a fascinating prospect. The short guide below gives a brief explanation as to reasons behind holidays from around the world and if you’ve got plans to travel to any of the places mentioned then organising your trip to coincide with festivities will no doubt present an authentic and memorable vision that will stay with you for years to come. 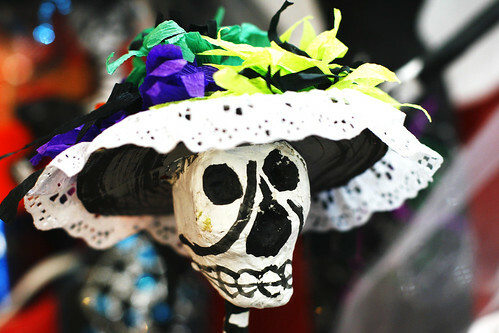 Day of the Dead Usually celebrated on the last day of October and the first two days in November, the Day of the Dead is the Mexican equivalent of Halloween but it tends to focus more on respecting and remembering the departed as opposed to simply dressing up for fun. Most events revolve around visiting family and friends’ graves and placing food, marigolds and skulls made out of sugar around the headstone as well as building altars as a way of paying respect to the dead. Christmas This worldwide holiday falls on the 25th December and celebrates the birth of Christ and the chance to give thanks over a period of 12 days culminating in Christmas Day. There are many different family and community traditions and customs built around Christmas but from Santa Claus and present giving to Carol services and midnight mass, this is one of the most popular holidays in the calender year and known the world over. Thanksgiving Traditionally celebrated on the last Thursday of November, Thanksgiving is a North American holiday which is meant to pay homage to the harvest and bring good luck for the forthcoming year. Events usually include a large turkey dinner featuring seasonal vegetables followed by pumpkin pie. Thanks to the regular televised gridiron football game, afternoons on the couch watching the TV are usually also involved in the big day itself. If you’re thinking of heading over to the states for Thanksgiving 2014 then check out Grand American Adventures for some great ideas. Diwali This 5 day Hindu festival falls between October and November and is commonly celebrated in Asia as well as being featured in many western schools and global Indian communities. The name Diwali means row of lights and as such this time of year is also known as the Festival of Light. Firecrackers are often lit to scare away evil spirits, houses are cleaned and scrubbed and lights are lit to welcome the goddess of wealth and prosperity (Lakshmi) into homes. Hanukkah This 8 day festival is a traditional Jewish celebration and involves lighting a candle on a special candelabra (known as a menorah) to remember the reclaiming of the Holy Temple during the Maccabean Revolt in 2nd century BC. Main customs include eating plenty of fried and dairy foods, repeating a Jewish prayer (Hallel) and singing special songs as well as lighting the candles on the menorah. Ramadan This traditional Islamic holiday is celebrated by Muslims the world over and takes place during the 9th month of their calender. Fasting is observed throughout the month between sunrise and sunset as well as increased visits to the local mosque and the repetition of chapters of the Quran. The holiday period is meant to pay thanks to Allah and provide a guidance during the period when Muhammad first received instruction from above. Songkran Anyone who’s been to Thailand around mid-April will know about Songkran where it’s customary to throw, squirt and soak anyone and everyone in water for around 1 to 2 weeks. Other than this slightly annoying, yet refreshing, tradition, further customs include blessing each other with coloured powder, praying at the local wat (Buddhist temple) and giving food to monks. As a celebration of Buddha and the New Year, Songkran is a fun time and a must for anyone travelling in South East Asia.